It’s a brand new school year for the San Francisco Unified School District (SFUSD), including the 2,000 students enrolled in the city’s universal preschool program, Preschool for All. As teachers restock classrooms, and kids adapt to a new fall routine, two SFUSD Early Education Department (EED) staffers—Barbara Johnck and Margaret Harris—are gearing up for their own fresh start. Two years ago, the women launched an ASQ®-3 screening program in the district’s 80 preschool classrooms. This new school year presents an opportunity to continue improving their processes while reflecting on some of the program’s challenges and successes. “We’ve learned a lot, and every year we’re tightening up our structures and fine-tuning the system,” says Johnck, Inclusive Education Unit Lead for EED. Back in 2010, Johnck was hired to support the district’s inclusive classrooms and work closely with its special education partners. Her primary role was to spearhead a screening program, a requirement from Preschool for All’s funding agency. Johnck collaborated with Harris, a social worker who focuses on family engagement and support programs for the district. Together, Johnck and Harris managed the planning, training and implementation of ASQ-3 across 80 classrooms in 34 preschools, drawing on some of the implementation and training resources available through Brookes Publishing. The first questionnaires were distributed in Fall 2013, and now about 90% of the district’s preschoolers participate in ASQ-3 screening each year. While today the program is hitting its stride, it has also hit a few bumps along the way, but each has served to help Johnck and Harris further refine their process. “Every year is a learning year for us, but that first year was a very big learning year,” recalls Harris. In 2012, a year prior to the official launch, Johnck and Harris held a mandatory 2-day ASQ-3 training session for all teachers, also opening the training to principals, administrative clerks, and support staff who could potentially interact with families regarding the screener. Attendees were coached on questionnaires, scoring, and follow-up and were invited to try it in the classroom and report back. “How you plan for something and how it actually gets implemented can be very different,” says Johnck. She and Harris discovered that for many trainees, as time passed between training and the official launch in Fall 2013, some of what they learned was lost. And some of it just fell to the bottom of teachers’ long lists of priorities. It became clear that first year that the tool wasn’t always being used to its maximum potential. For example, some families were receiving the questionnaire with little instruction or context, so schools were missing valuable opportunities to connect with parents over a shared concern for their child’s development. A family that’s disengaged is also less likely to return the questionnaire. Johnck and Harris also found that the follow-up systems they’d assumed would be in place weren’t always there. So it was variable whether kids who needed re-screens were getting them, or that new kids who started later in the school year would get screened that year at all. And sometimes that’s what happens. The two have seen innovations with how classrooms support parents—from partnering with community mental health consultants to help parents fill out questionnaires, to providing ASQ® kits to families who may not have the items needed to assess their child. But for many who already have so much on their plate related to assessments, keeping up with the process and the follow-up is just one more thing they have to juggle. “So how do we make it easier for them? I think we need to get better at looking at how we can provide ongoing support to both families and teachers, and hopefully after a few years it will become automatic for them,” says Harris. For the program’s second year, Johnck and Harris made some changes that would provide more “on-the-ground” support. They began with providing more detailed guidance on how and when to conduct screenings, which included a user-friendly process flow chart, FAQ sheet, and detailed timelines with reminder emails from the central office. Sites were asked to include an ASQ-3 overview in their annual parent orientations and were provided with talking points and materials to give to parents. Family support specialists and instructional coaches are also available to present and discuss the ASQ questionnaires and process with families at these orientations. And they continued accompanying questionnaires with a parent letter, created from a template available in the ASQ-3 User’s Guide and on the ASQ website. Additionally, they pushed screenings back a month. In the program’s first year, classrooms were asked to pass out the questionnaires during the first week of school. When scores came back, a lot more kids were in the monitoring zone and below the cutoff than expected. Among these were lots of kids who had never been in preschool, and others who may have needed more time to get used to new surroundings. Johnck and Harris don’t believe all of these kids would have typically scored this low. “Our theory of practice is that if we give kids more time to acclimate, maybe fewer kids will rise to the top,” explains Harris. So that’s what they did. Results from year two, while still being processed, anecdotally appear to back up their theory. The biggest change Johnck and Harris have made—and the one that they believe will have the greatest impact on return rate and building relationships with families—is with their tracking system. They introduced elements of it in year two, but have further refined it for this 2015/2016 school year. Now, each classroom receives a detailed, up-to-date roster that includes each child’s name along with which questionnaire he or she should be given and in what language, and instructions on when to conduct the screening. 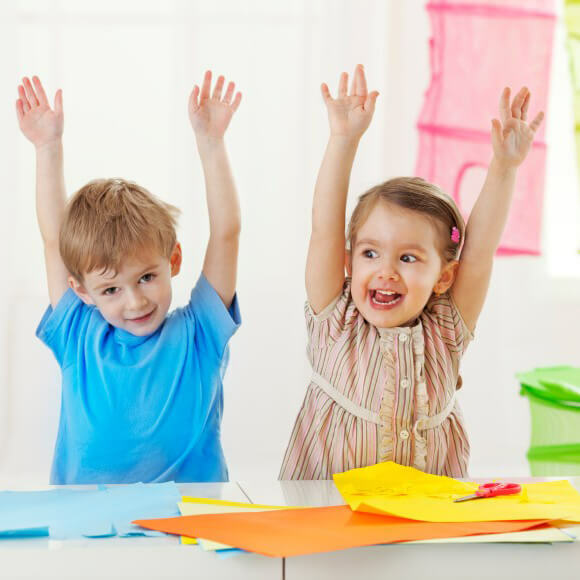 If kids are enrolled later, there are instructions on how to add them to the roster and use the ASQ® calculator to determine the correct questionnaire. The central office also keeps track of scores and notifies classrooms of who needs re-screenings and when. All this tracking also helps teachers and classroom coaches spot scoring trends across the class. If a lot of kids are struggling with fine motor skills, for example, they can plan activities that focus on strengthening those skills. For Johnck and Harris, more detail gives them better insight into how ASQ-3 is benefiting the children and their classrooms. They’re currently creating a more sophisticated database that will allow them to export information and analyze data. “We want to see how this tool is supporting kids and getting them access to services,” says Johnck. 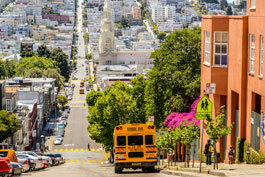 As their third year begins, the program’s leaders reflect on the positive impact ASQ screening has had on San Francisco’s public preschools and the teachers and staff involved. The first, most obvious benefit is how it’s helping identify children with developmental delays and connect them with the right services. The district is now screening 1,500 to 1,600 kids each year, primarily from low-income families. Harris says that this is the first time training sessions have systematically discussed how to have conversations about child development with parents, and how to have tricky discussions in a sensitive way—like when a teacher observes behavior that conflicts with the parents’ questionnaire responses. “This has really pushed us in our professional development to address how we build relationships with families, and how we can give teachers the resources they need to facilitate these kinds of conversations,” says Harris. Now that Johnck and Harris have had time to assess and adjust their process, they can offer some words of wisdom to other professionals who may be preparing to launch a screening program. “While it’s not always possible to get feedback from teachers and site administrators as you’re designing a program, it’s certainly a best practice,” offers Johnck. Johnck and Harris encourage leaders to build in plenty of time to think about the system and then more time to reflect upon it—before screenings begin. “We thought we needed to hold a training and make photocopies of questionnaires and so on, but for a host of reasons we didn’t have an opportunity to think through the various other steps,” explains Harris. They advise taking a year to work with a core group of stakeholders to think about the implications on the classroom teacher, the parents, secretaries, and site administrators, among others. What messaging is important? What data is important and how are you going to use it? Most of all, they say it’s important to have flexibility and patience and an understanding that, especially in a huge system like a school district, there will be challenges. Explore free resources to help your organization implement or strengthen your ASQ program. Visit our online library.